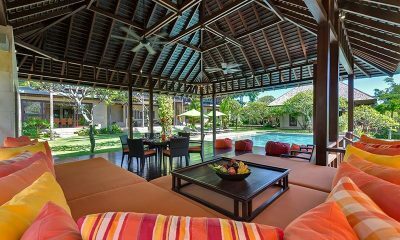 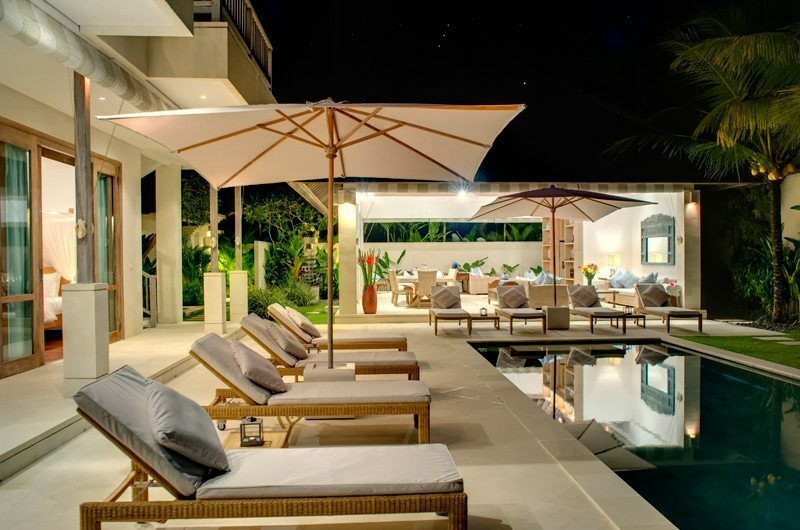 Villa Bakung offers a truly luxurious setting for a relaxing holiday in tranquil East Bali. 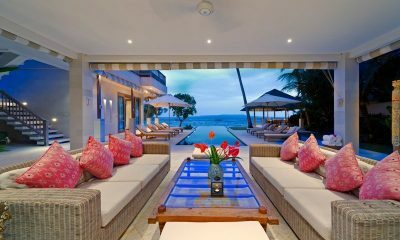 The four-bedroom villa is set on a private stretch of sandy beach and offers amazing ocean views from its 17-metre pool. 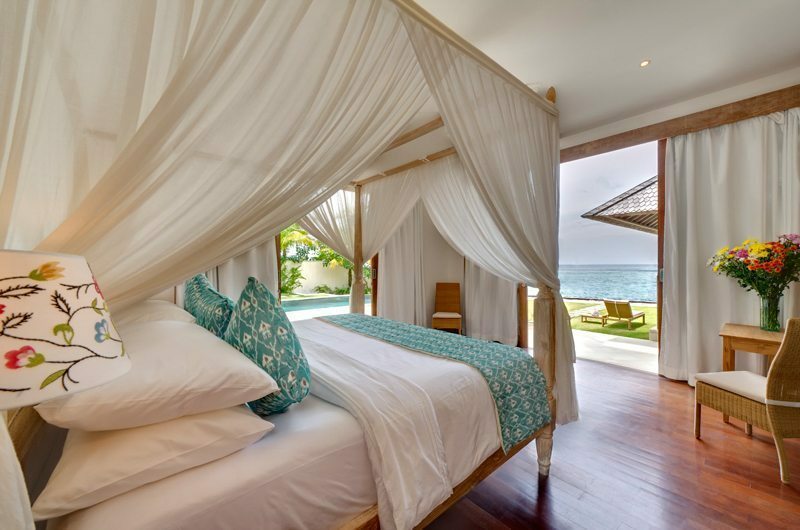 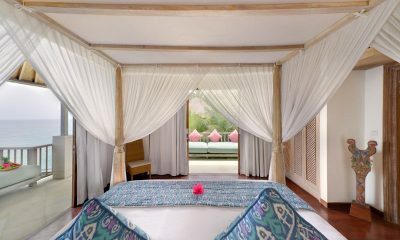 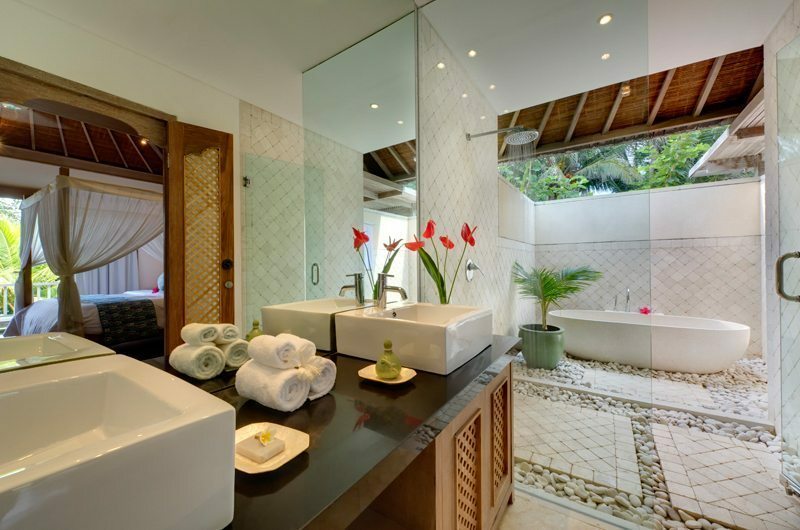 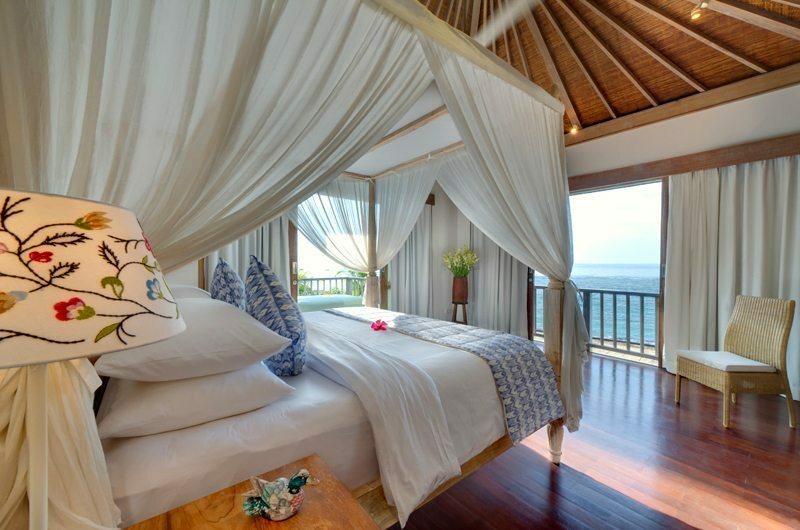 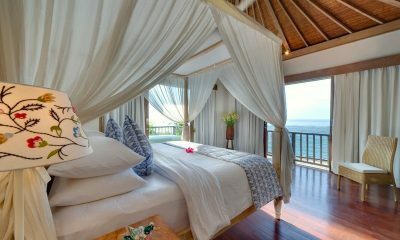 The villa boasts beautiful white design throughout, with luminous rooms accentuated by touches of Balinese decor. 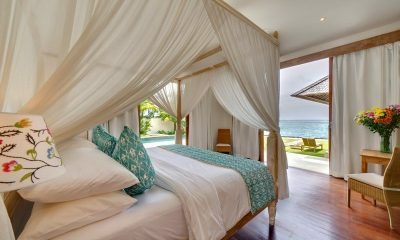 This is the perfect beachfront hideaway for discerning travellers looking for impeccable design away from the madding crowd. 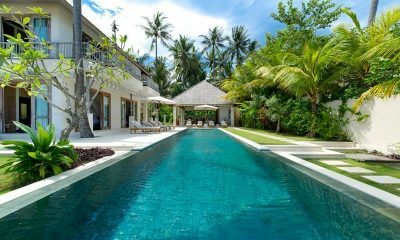 Villa Bakung excuses style and exclusive luxury. 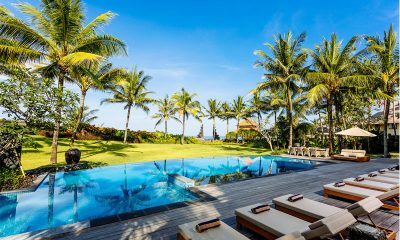 The light and airy living areas overlooking the pool are beautiful – but the real show stopper is the man-made beach which allows you to enjoy the Indian Ocean in absolute privacy. 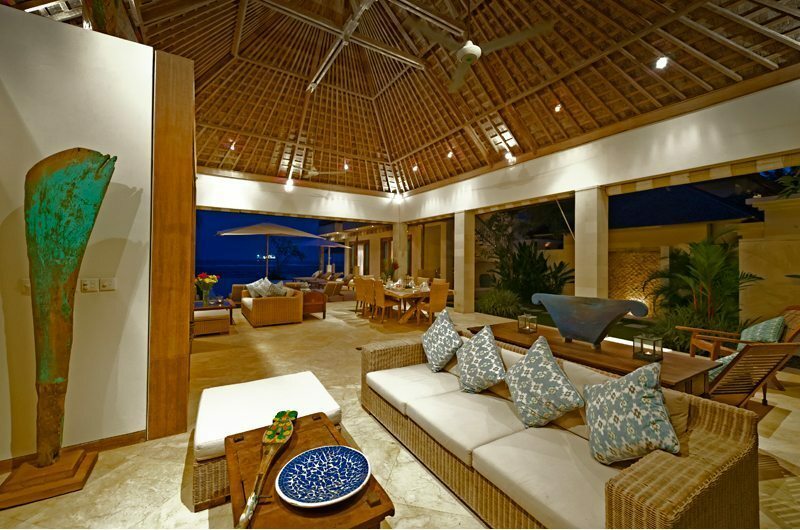 The living room is spacious and offers views of the infinity pool. 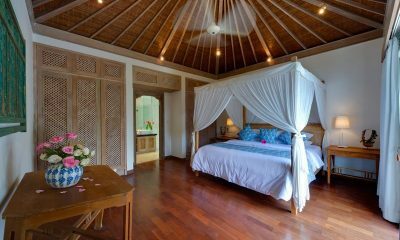 The room includes local art and antiques and also offers a 42-inch TV with satellite channels and a DVD player. 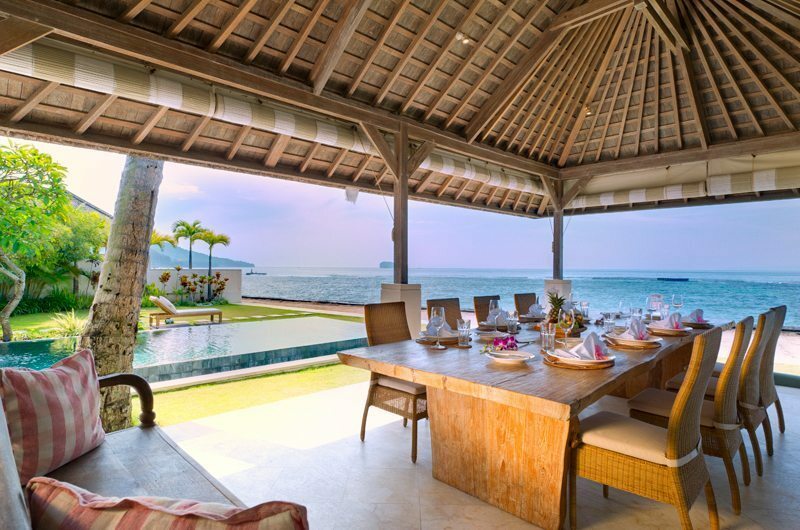 The dining bale is set right on the water’s edge and seats 8. 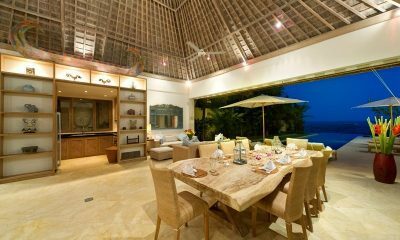 There’s also an indoor dining table which can accommodate up to eight guests. 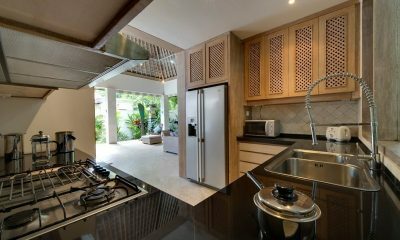 The villa includes a fully furnished kitchen. 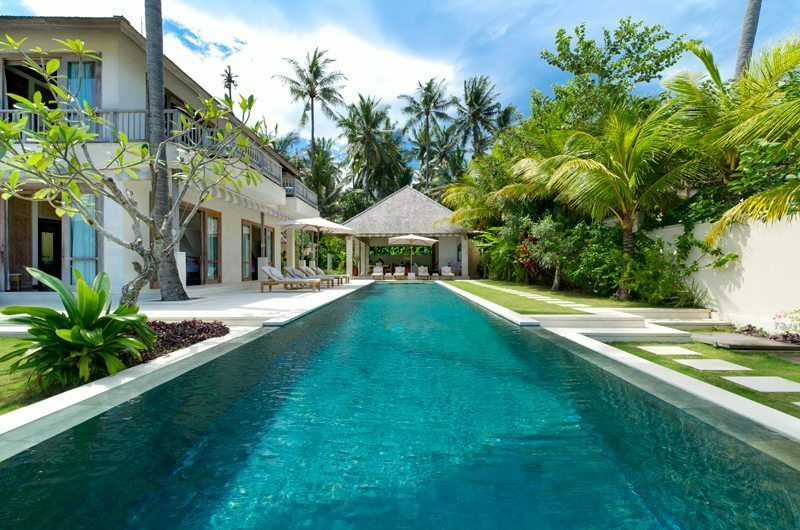 The villa offers a 17-metre infinity pool which directly faces the ocean. 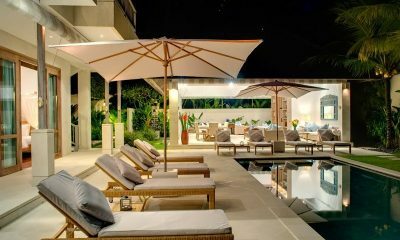 The pool is surrounded by sun beds and parasols and adjoined by an outdoor lounge area where you can catch your breath in the shade. 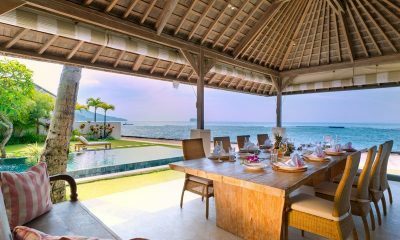 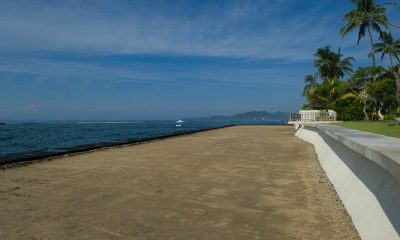 The villa boasts a stunning man-made beach which offers a rare stretch of sand amidst the rocky coastline of East Bali. 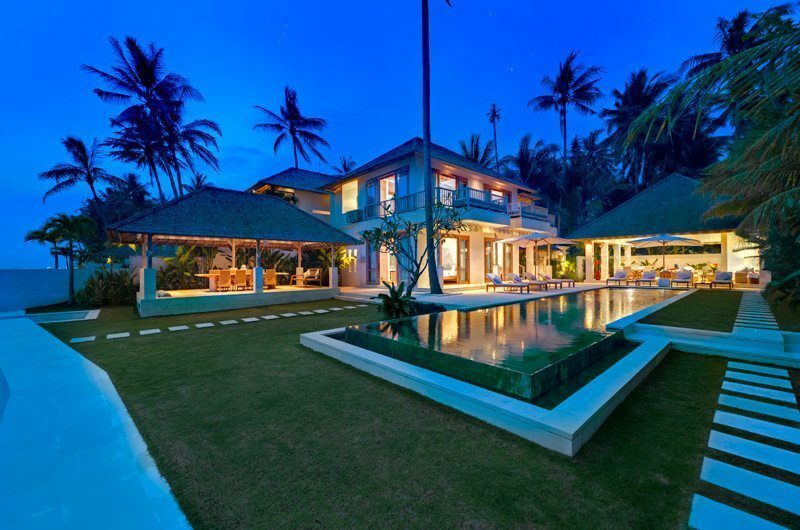 Villa Bakung has four bedrooms. 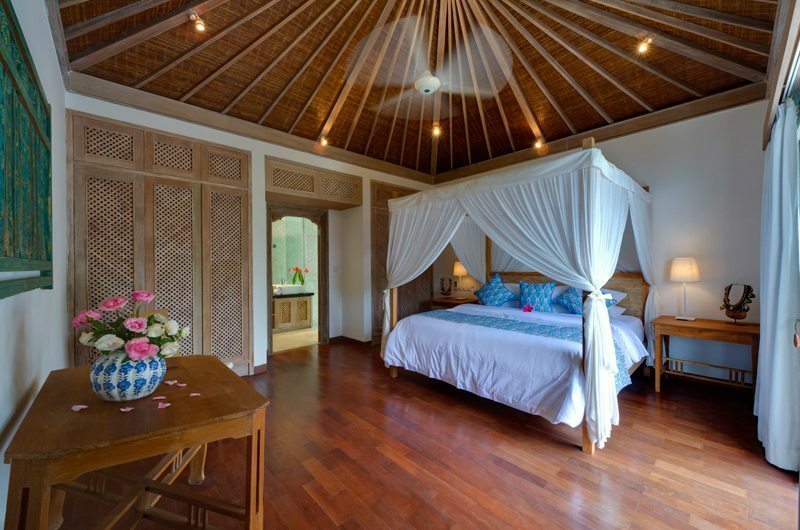 All rooms have super king-sized beds measuring at 200 x 200 centimetres. There are two bedrooms on the ground floor and two rooms upstairs on the first floor. 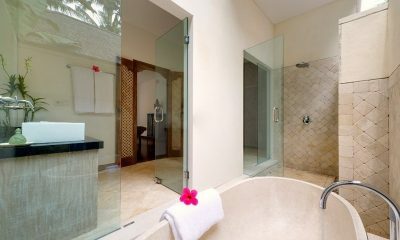 The second bedroom has a king-sized bed an ensuite bathroom with a bathtub and shower. 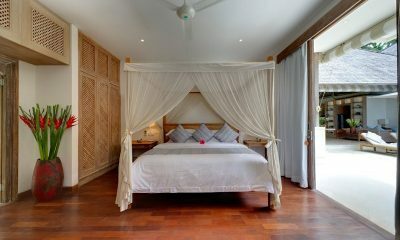 The third bedroom also has a king-sized bed. 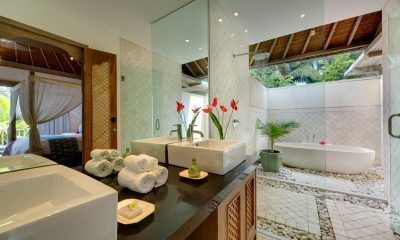 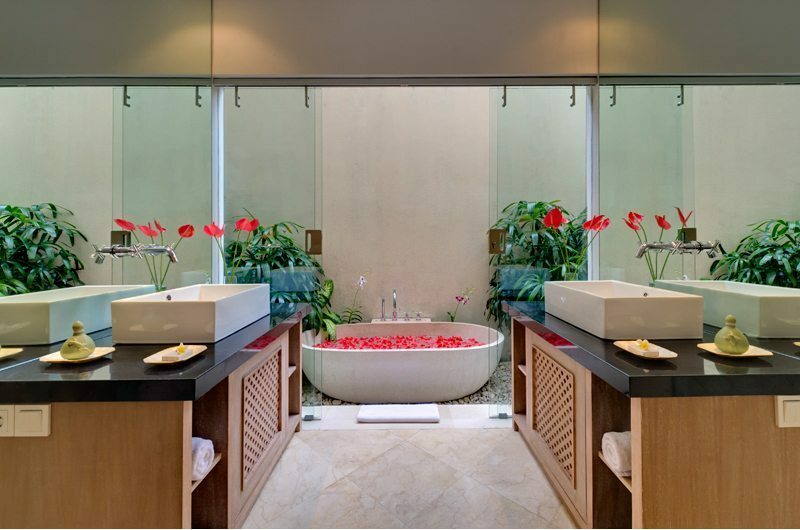 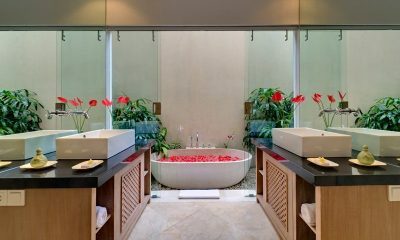 The room has an ensuite bathroom with a bathtub and shower. 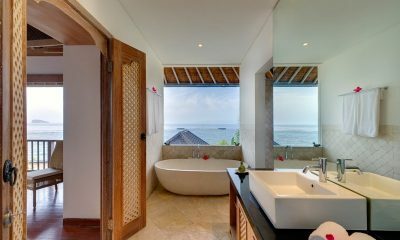 The final bedroom is similar to the other three rooms and also features a king-sized bed and an ensuite bathroom with a bathtub and shower. 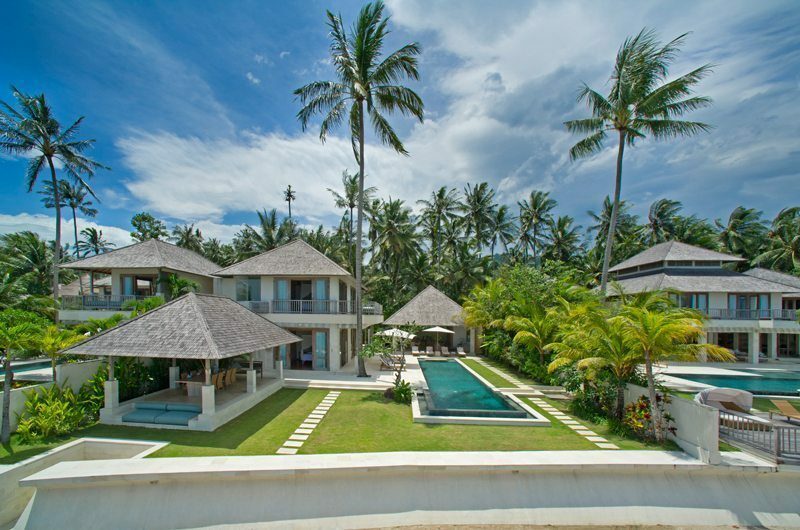 Villa Bakung is a four-bedroom villa built over two floors. 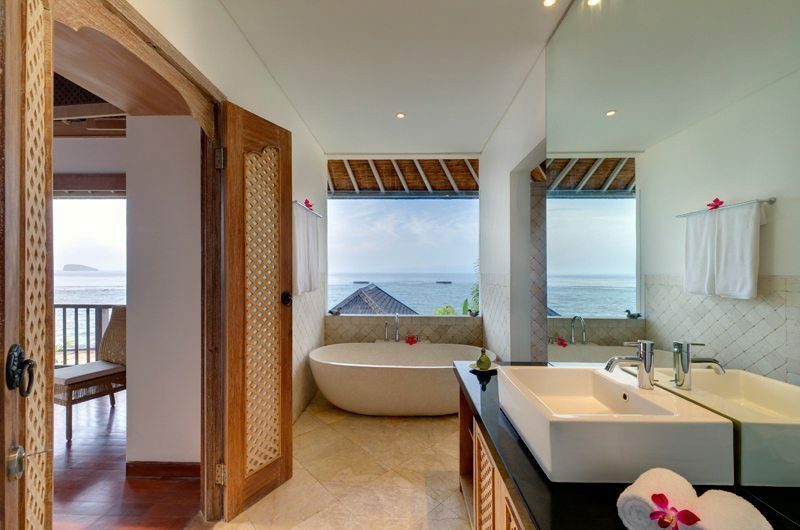 There are two bedrooms on the ground floor and two bedrooms upstairs. 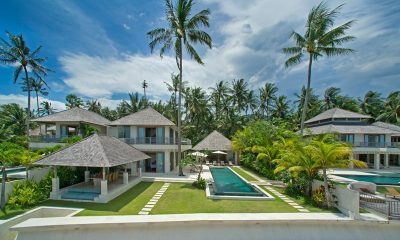 The villa has generous living areas and a 17-metre swimming pool followed by a man-made beach that’s private and ideal for swimming. 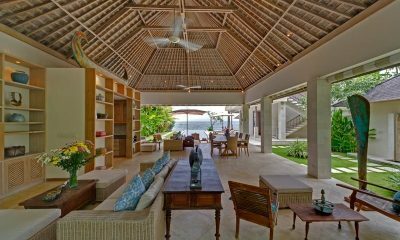 Your stay in Villa Bakung is made enjoyable by the professional staff. 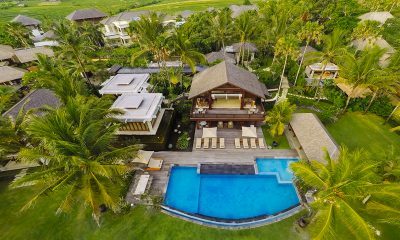 Villa Bakung’s staff have been professionally trained and will do their utmost to please with their warm and friendly Balinese hospitality. 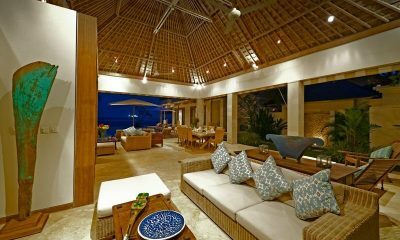 Villa Bakung includes 24-hour security. 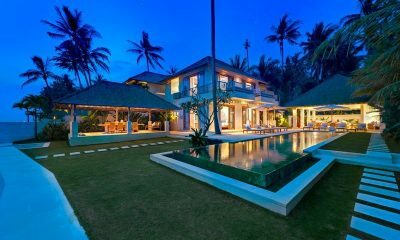 Villa Bakung is in Candidasa, Bali. 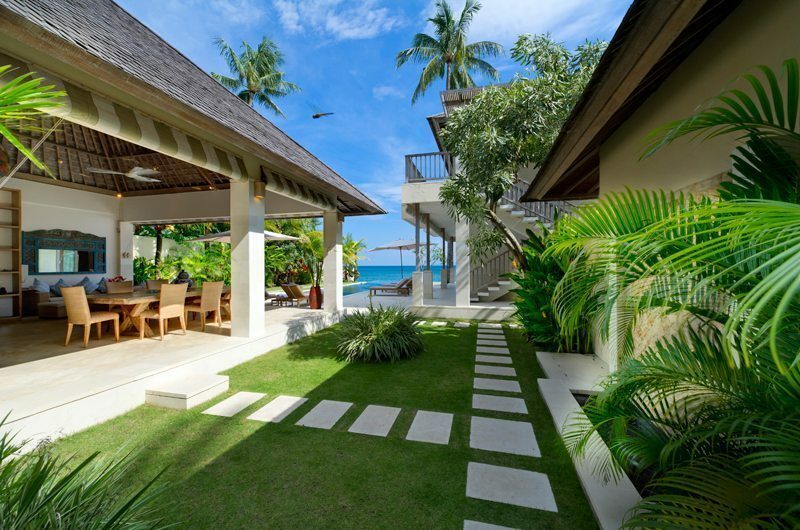 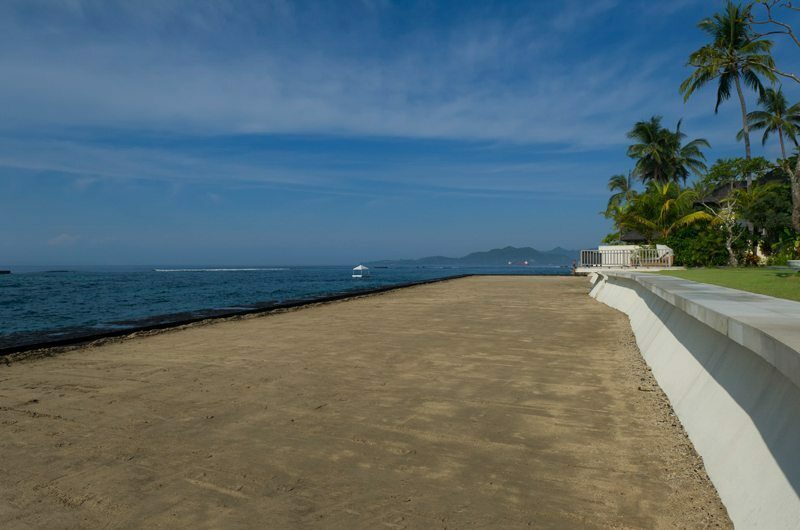 The villa is set on sandy man-made beach which offers ideal swimming conditions. 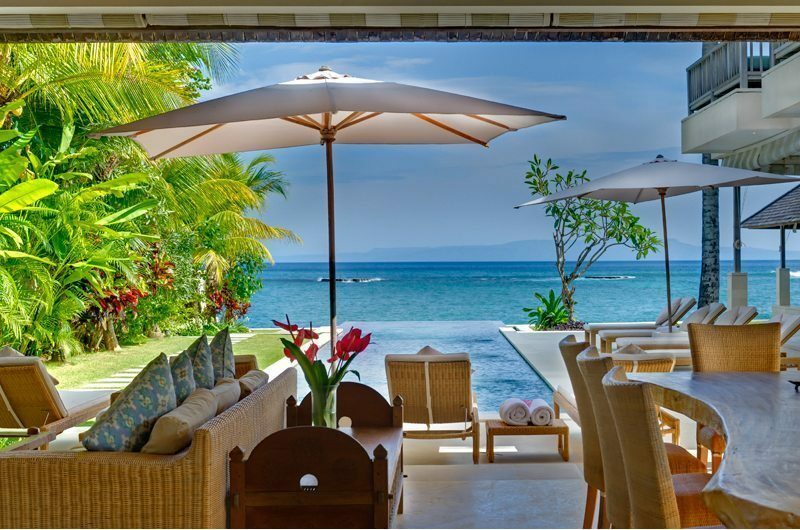 Candidasa is a tranquil Balinese village which maintains the authentic way of life and offers the perfect setting for a relaxing holiday. 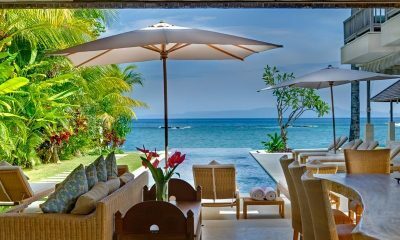 Candidasa offers a decent selection of restaurants and cafes and is also a popular destination for snorkelling and diving. 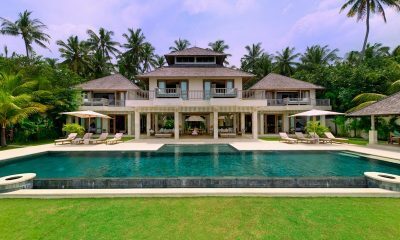 The villa is located within a short drive of the Amankila and Alila resorts where you can enjoy haute cuisine with epic ocean views. 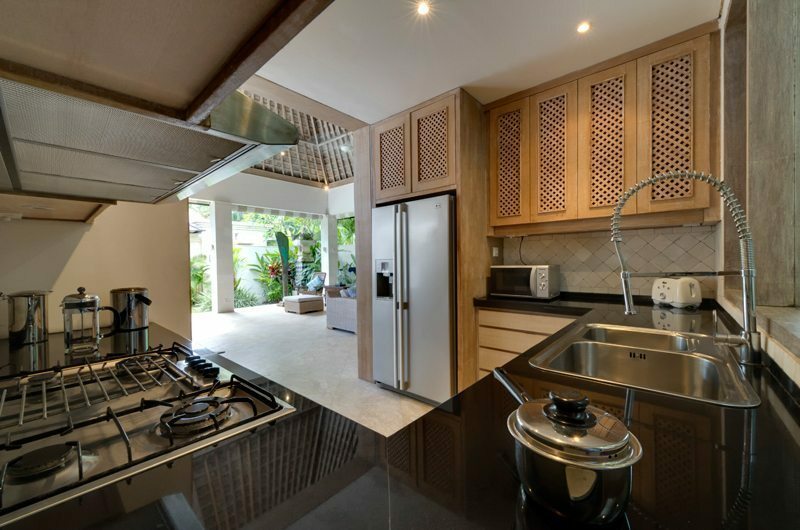 Villa Bakung is located about 90 minutes from Ngurah Rai International Airport.